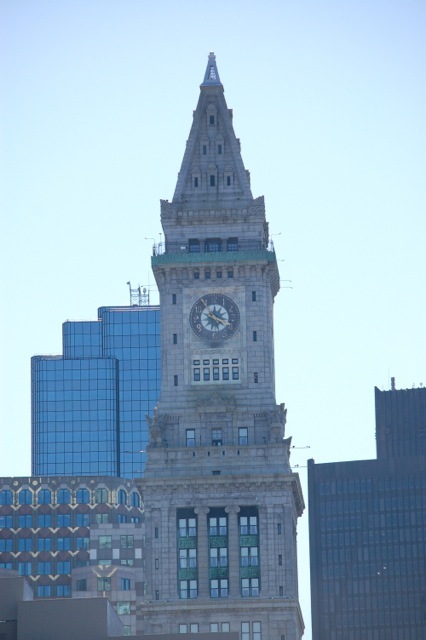 Custom House Tower in Boston, Mass. When I was in Boston on Wednesday, I met a middle-aged man who ran his first marathon, ever, this year in Boston. Because of the violence that stopped the event prematurely, he, like more than 5000 other runners, didn’t cross the finish line. A new-comer to running, he doesn’t want to lose his conditioning without completing a marathon. So, he’s keeping to his pre-marathon work-out schedule and will run another marathon within the month. His story is far from the death and the physical and psychological harm that occurred in the immediate perimeter of the explosions. But I found myself, as I listened to this first-time-marathon-runner, trying to imagine the myriad stories of the runners of this year’s Boston Marathon. This subcategory of first-time runners who did not finish the Boston Marathon could be a study unto itself. I feel certain that despite the profound shake-up to the human spirit that day, they’ll each complete a marathon or be back in Boston next April. * Will the word “backpack” ever sound the same to us? ← A Beautiful Day In Boston, Mass.